According to Timbaland, who has been interviewed by Revolt, Pharrell has two tracks on the new Jay-Z album ‘Magna Carta… Holy Grail’ and one of the tracks is ‘BBC’. 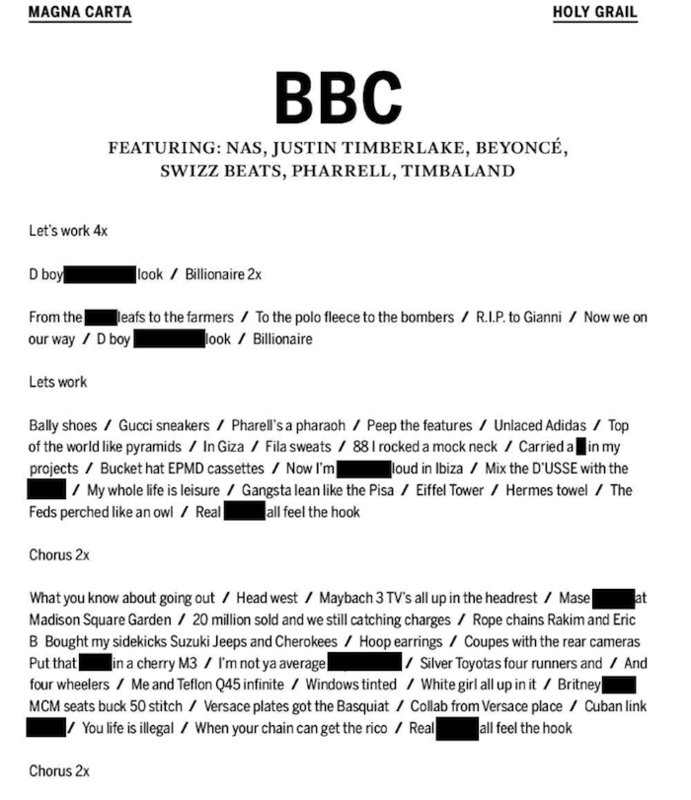 Remember the end track from the first trailer of the Jay-Z’s promo video, well that one is called ‘BBC’ and features Pharrell, Nas, Justin Timberlake, Beyoncé, Swizz Beatz and Timbaland on it. Timbaland produced the majority of the album and is the executive producer of ‘Magna Carta… Holy Grail’, can’t wait to hear the album. Jay-Z announces new album “Magna Carta Holy Grail” due July 4th, Pharrell has worked on it!